I purchased an EMEALS Groupon last week, 24 dollars for a one year subscription. A mere two bucks a month – so exciting! So, for the price of one Starbucks coffee a month, I get 28 dinner recipes, along with 28 sides to go with them. Most importantly, I get the shopping list that even my better half can follow. The plan allows you to choose several different eating styles (low carb and paleo are both on the list, as well as several others). You can choose the option for 1-2 people, or 3-6. I went with the 3-6. I journeyed to the grocery store, list in hand. With the list categorized into Produce, Frozen, Meats, Canned/packaged, and Dairy, it was very quick and easy to zip through the store and purchase the necessary ingredients – a total plus for all you shopping haters like me. Total bill was $122.85, which is a bit higher than what I normally spend. Probably because on this plan there is meat for dinner every night, and a few “pre-packaged” items that came in cans or jars that I wouldn’t normally use. Meal 1: Chicken soup with pork rinds. – Had to triple the broth to make sure we could feed 4 people (our three person family plus one adult guest). – Recipe called for 10 ounces of baby spinach, and honestly there is NO possible way I could have gotten all of it in, even with triple the broth. – Had to add 2 tsp. cumin and 2 tsp. chili powder to give it some kind of flavor other than just “broth”. – Since it still was poor tasting I added 2 ounces cream cheese and 1/4 cup heavy cream. Despite a huge attempt at doctoring the soup, it still didn’t taste great. Since we don’t really eat pork I substituted parmesan covered garlic bread which was the meals only saving grace. This meal was pretty good, but after my previous chicken soup fiasco I decided I was going to add some ingredients “up front”. You cant doctor meatloaf like soup! Obviously the Grandma referred to in the recipe didn’t grow up in the same time period as my Nana….Nana taught us that to stretch your meat and feed more people, you need to add veggies. This recipe called for ground meat, oatmeal, sloppy joe sauce, egg whites, 1/4 cup bell pepper, 1/4 cup onion and 1 clove garlic. Lots of meat, only 1/2 cup veggies. I added 2 stalks celery, used two whole onions, 1/2 lb mushrooms, 1 large red bell pepper, 5 cloves garlic. I also added the entire egg, rather than just the whites. 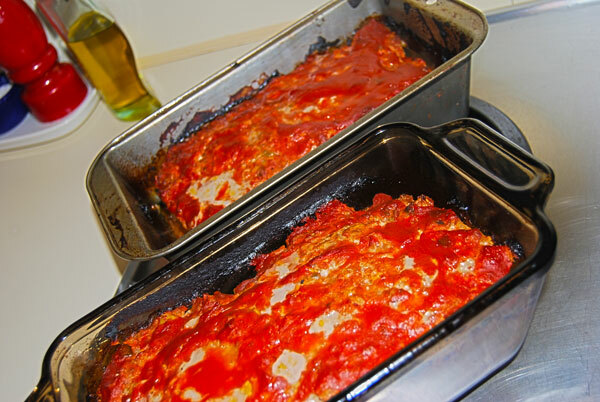 By adding the sauteed veggies, I snuck in some additional nutrition, AND was able to eek out two loaf pans of the meatloaf, thus stretching my prep time, dollar, and setting myself up for an easy after-work meal next week. I have to admit that the sloppy joe sauce was quite inventive. Have never used it before…it had a sort of ketchup-ish flavor which was OK. However, I think it would have been less expensive to use ketchup with a bit of dijon mustard to get that same taste. Mashed cauliflower is not one of my favorite dishes, so I went with just steaming some cauliflower and broccoli instead and topping with a little butter and fresh garlic. Overall this meal was good, but due to the modifications, I can’t truly say if the original recipe would have turned out tasty or not. The family loved it BTW. Recipe called for 4 cups rotisserie chicken. That’s ALOT of meat! I went ahead and prepared exactly per the recipe which included mayo, Greek yogurt, jalapeno, ginger, coriander, cilantro, cumin, and green onions. I was a little more excited about this meal since there were a lot of ingredients that are all very flavorful, and that I don’t use too often. The chicken salad came together quickly and was very easy to prep. 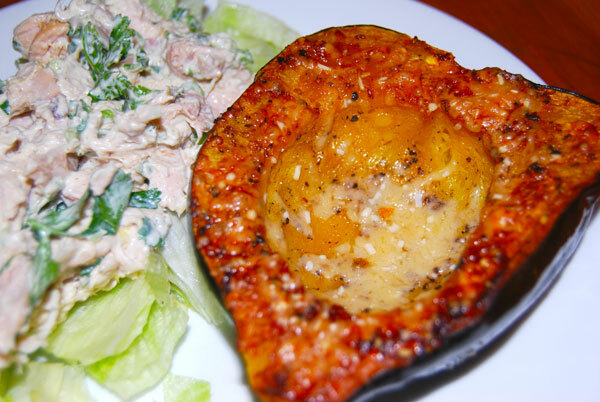 Acorn squash is not something I prepare too often as a side. It’s high in carbs, and a little too sweet for my taste, but I went ahead and followed the recipe to the letter. I was delighted that it turned out awesome. The Parmesan and olive oil toned down the sweetness of the squash. The chicken salad, like the other recipes was not bad, not stellar, just OK. The family did not like it at all though. I think ginger/cilantro flavor put them off. 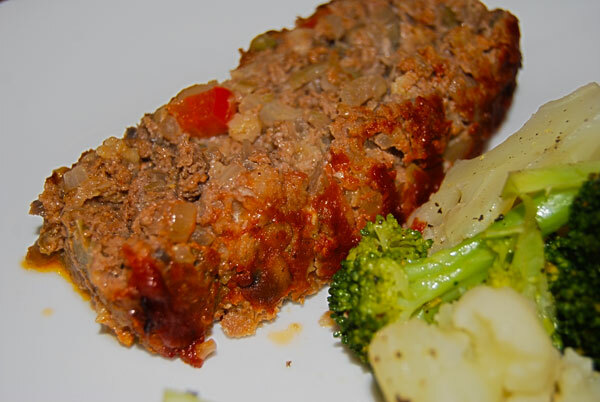 Yet again….for a low carb plan there are just not enough veggies in this dish. Recipe called for 2 pounds top round steak (that’s A LOT of meat for a stir fry), frozen broccoli florets, garlic, sesame oil, and bottled Szechuan stir fry sauce. I added 2 stalks celery, 2 carrots, 1 onion, raw spinach, used FRESH cauliflower and broccoli, and 8 ounces of mushrooms. The flavor was great, mainly due to the prepared Szechuan sauce. I think I could have omitted the sesame oil (which was a little spendy), since the bottled sauce already had a strong sesame flavor. I went ahead and cooked some rice to go with this for the kiddo and a dinner guest. Everyone loved this dish. The cucumber avocado salad had GREAT flavor. Very simple to prep, with diced cucumber and avocado, olive oil, apple cider vinegar, salt and pepper. Overall this meal was above average simply because you can’t go wrong with bottled Szechuan sauce, but again, I think my additions basically invalidate my ability to truly rate this recipe. Thank you for the honest review!! I have tried a few of Emeals recipes, but they are all just ok. I thought I was the only one who felt this way! I have noticed that most of the reviews I have seen are by blogs who are also doing a give-away. I think the reviews are biased because Emeals is paying them something. Thanks Christine ! I was thinking that most folks giving the recipes shining reviews were just all horrible cooks, but I think you have actually nailed it. Last week’s menu was so marginal that I decided to pass and cook good tasting stuff.